Charles Duke, Mecca E, Oscar, Rudeboy, Mr P. Sold-out albums like ‘The Invasion’, ‘Get Squared’, ‘Danger’ and ‘Game Over’ are works from the P-Square's catalogue. 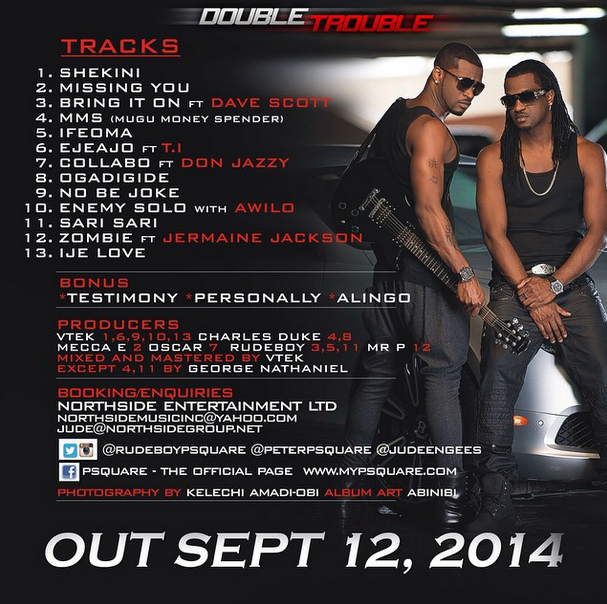 Sensational R&B duo singers, Peter and Paul Okoye, need no further introduction to Nigerians. They have contributed immensely to the growth of the Nigerian music industry and to African entertainment at large.